The increasingly important role women play in Namibian law enforcement can no longer be ignored and is setting an example to countries where gender equality is still lagging behind. 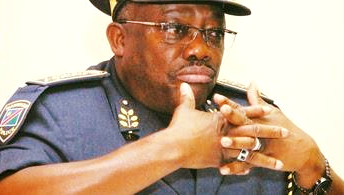 In his congratulatory message on the celebration of International Women’s Day the Inspector General of the Namibian Police, Lieutenant General Sebastian Ndeitunga said the institution is fully committed to the development of women in all roles. He said women’s achievements should in fact be celebrated every day because of their superior role they play on all levels of everyday life. This is an important day to celebrate women’s achievements and calls for gender equality; and on this International Women’s Day themed “Think Equal, Build Smart, Innovate for change”, I would like to say a big thank you to all women in policing for working hard to keep our communities safe. The essential reason for this day to exist and persists is because many countries have not yet achieved gender equality. 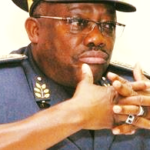 However, for us in the Namibian Police Force we have come a long way towards gender equality even though there is still a long and hard journey ahead. With the adoption of the National Gender Policy, policing was made easy and thus today we have a woman Major General, one woman piloting our helicopters, two women as regional commanders, two women as head of directorates, we have women shift commanders, women drivers, women serving in peacekeeping operations and many women leading in other capacities. I can assure you that our commitment in promoting women’s development and advancement in the Namibian Police Force will be strengthened in the years to come. Today on International Women’s Day, I also want to reiterate that national call to end gender based violence especially violence against women and children which is perpetrated predominantly by men. I implore all men to end violence and be accountable. With these few words allow me to express my sincere appreciation to all women police officers as we join the rest of the world in celebrating International Women’s Day.